Jim with his good friend, Andrew Marcus, and brother, Tim. 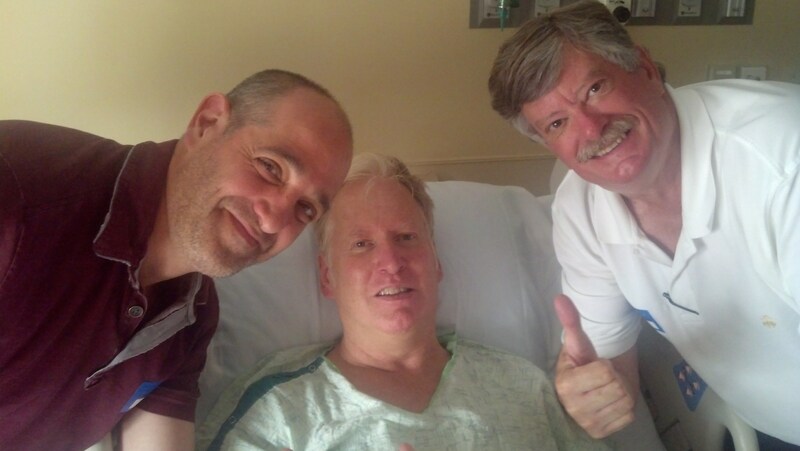 As most of you know, Jim has been in the hospital for almost a week, now. He has been fighting a bacterial infection that is related to a recent artificial knee replacement and complications related to that. Surgeries will follow in the next week, so Jim will be out of commission for a bit longer. Your thoughts and prayers are still needed. And appreciated! !